Check out Daryl-Jarod's latest interview with TBHOS Book Club! 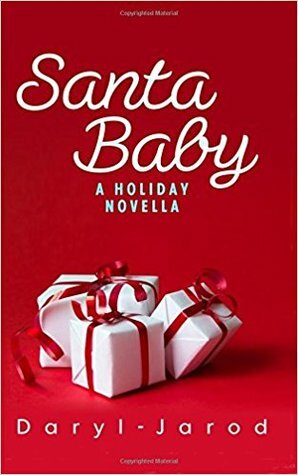 Learn more about the new holiday novella, Santa Baby, and what inspired Daryl-Jarod to write a Christmas-themed tale this time around. Enter now for your chance to win a FREE AUTOGRAPHED copy of Santa Baby! ​Giveaway ends on December 25th! The new trailer for Santa Baby has arrived! Get your copy today! Check out Daryl-Jarod's recent podcast episode with Misfit Confidential Radio! They sat down to discuss initmate details on their decade-long friendship and what's planned for 2017! Silk, new music, and acting endeavors are just a few of the topics discussed in Daryl-Jarod's recent interview with Pro Media Mag! Read the interview in its entirety below! Check out Daryl-Jarod's recent interview with Bare Back Magazine! DJ dishes on the new book, Silk, and gives readers details on new and exciting projects in the works! Purchase your copy at Amazon now! And be sure to check out the second official book trailer below! Check out Daryl-Jarod on Wattpad! Catch up on full stories from Silk and an excerpt from the new story, "Pink Fortress"! We're only DAYS AWAY from the release of Daryl-Jarod's "Silk: The Complete Trilogy"! Check out the official book trailer below!